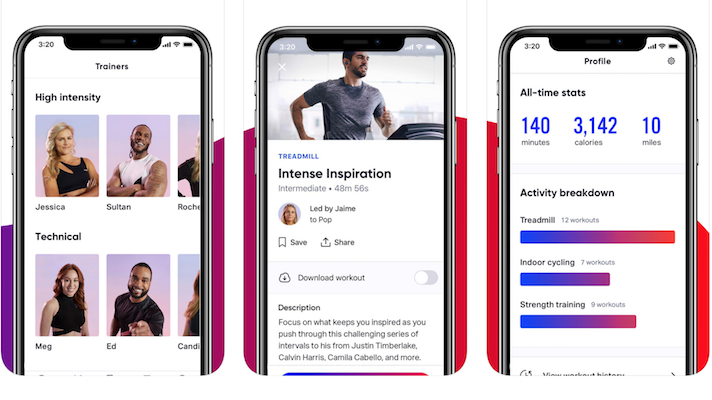 On-demand fitness content maker Aaptiv has raised $22 million in a new funding round led by Millenium Technology Value Partners. Existing investor Insight Venture Partners also contributed to the round, as did several strategic investors: The Amazon Alexa Fund, Disney, Warner Music Group, and NWS Holdings. Aaptiv offers an app that helps a user choose from a library of audio training sessions based on their needs. A membership, which costs $15 per month or $100 per year, gives access to more than 2,500 classes, with more being added weekly. The company creates audio offerings that mix carefully chosen music with the voices of 20 certified trainers who specialize in different activities and different training styles. Apps for personal training have been a promising part of connected fitness for some time— Fitbit spent $25 million in 2015 on FitStar because it saw a need to offer coaching services along with its connected trackers. Aaptiv’s investment from the Alexa fund shows that its audio-only coaching offerings are coming at a time when audio is emerging as a viable input and output mechanism for technology. The company says it plans to use the funding for new technological innovation, in addition to getting the word out to additional customers.